With the Catalyst 15.7 drivers, AMD's old Radeon graphics cards and AMD's new graphics cards can play nice in the same PC. 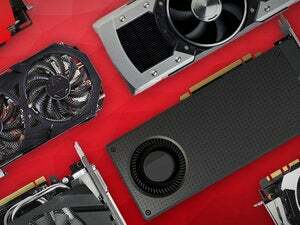 While AMD’s beastly, recently released Fury X and Fury graphics cards pack an all-new Fiji GPU stuffed with cutting-edge high-bandwidth memory and a ridonkulous number of stream processors, the rest of the new Radeon R300-series lineup revealed at E3 actually rely on tweaked, retuned versions of graphics processors found in the older R200-series cards. That’s been a bone of contention for gaming enthusiasts, but an unadvertised feature unlocked in AMD’s new Catalyst 15.7 drivers highlight a hidden upside to the shared hardware: CrossFire compatibility between the two graphics card generations. Catalyst 15.7 unified the drivers for the Radeon R200- and R300-series graphics cards, bringing previously R300-exclusive features like the surprisingly handy Frame Rate Target Control and Virtual Super Resolution to the older hardware. The software also (finally) added support for CrossFire multi-GPU setups to play nice with AMD’s new stutter-killing FreeSync monitors. The unadvertised feature blends both worlds. As first noticed by Videocardz and TechPowerUp, you can run a newer R300 graphics card in a system with its older counterpart. I’ve confirmed it by slapping an old reference R9 290X into PCWorld’s graphics card testing rig with a new Radeon Strix R9 390X (review coming soon). It worked, and worked well. 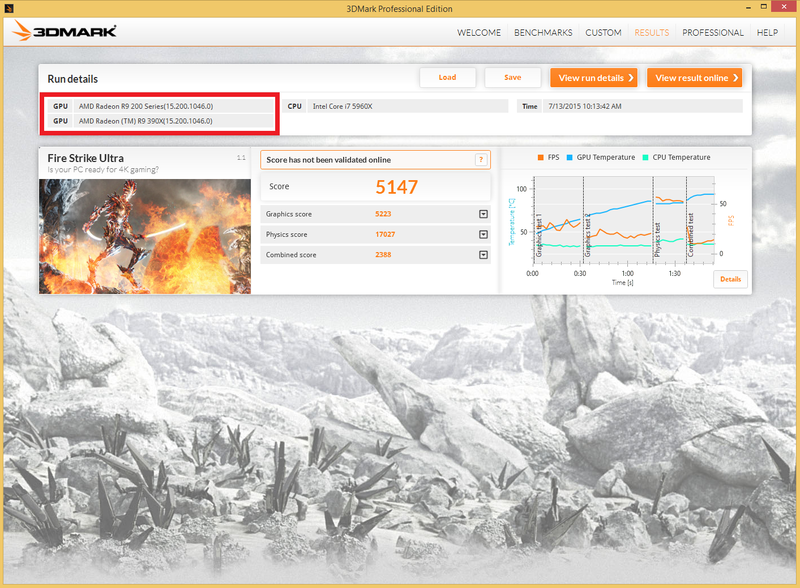 For comparison, the Titan X scored 4056 on 3DMark Fire Strike Ultra, while AMD’s new Fury X topped out at 3981. 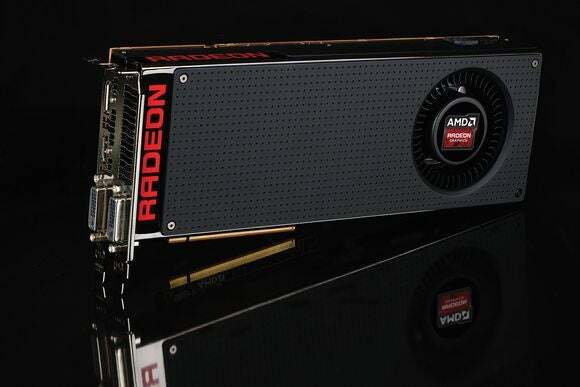 AMD, of course, has been known for being flexible with its CrossFire setups in the past, allowing the R9 280 series to pair with the older HD 7900 graphics cards, and the R7 270 series to play nice with the HD 7800 Radeons, among many other cross-generational configurations. AMD’s newest GPUs use XDMA functionality to do away with the need for physical CrossFire bridges, however, instead flowing all GPU communications through the PCI-E bus. Here’s how the current-gen compatibility breaks down. We've only tested the 290X/390X setup. Why this matters: The backwards CrossFire compatibility breathes continued life into upgrade paths for gamers who bought Radeon R200 series graphics cards over the past couple of years. 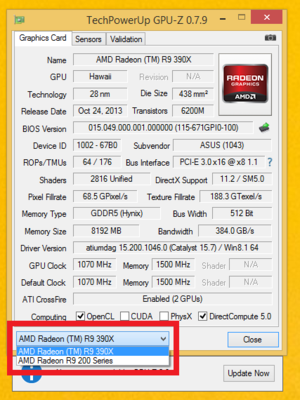 The “new” R300 graphics cards aren’t a compelling upgrade if you already own a comparable R200 series card, but with the R200 series starting to be phased out, Radeon gamers looking for MOAR POWER can at least buy a newer R300 model if they want to double up their system’s potency— if their existing R200 series card is compatible with one of the R300 series graphics cards, at least.